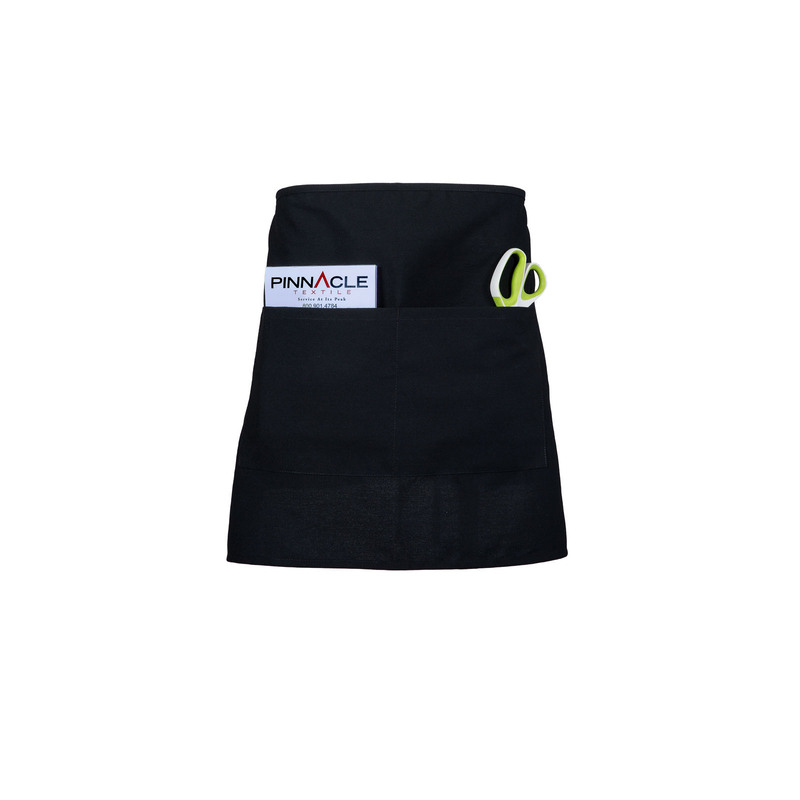 Our Half Bistro Apron is the perfect apron for any server, with self-material ties that are made from the same material as the apron providing a finished front of the house look. It features one 16"x8" pocket that divides into two 8"x8" pockets for notepads, an iPad, or similar devices. The sleek black color provides a professional look and functionality. Finished Size: 28" x 19"